Tips and advice for complete protection and security for internet security. Internet Security- Why Should You Use a Firewall? Internet Security-What Does Your Large Business Require? 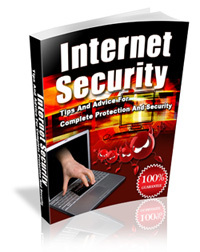 This 23 page PDF ebook comes with Master Resell Rights.